The highly sought-after work from home roles that I get asked about all the time are online transcription jobs. Transcription jobs have been the most popular at home jobs for a very long time now. 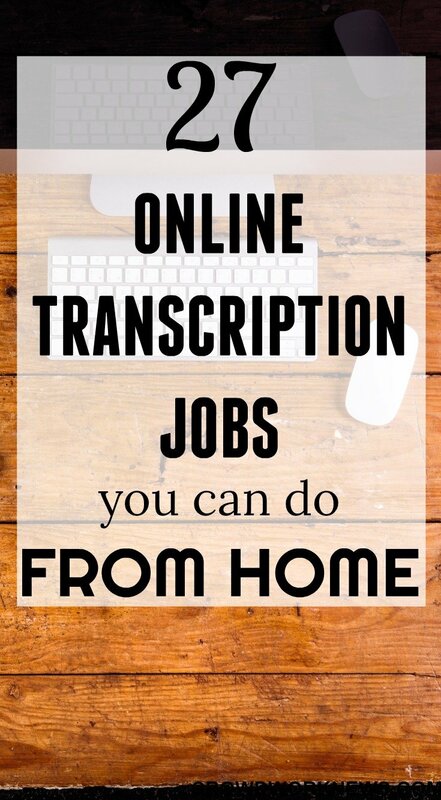 This is because many transcription companies offer online jobs for transcribers and this role has a lot of flexibility. Transcription does require basic equipment like a good working computer, headphones, a foot pedal, etc. On a general note, if you are searching for transcription roles, then having a good typing speed is a must. If you are searching for only typing roles, you will find this post helpful. If transcription is your thing, then you might find today’s post perfectly suitable for you. I am listing over 25 transcription companies that hire both beginner and experienced transcriptionists to work from home. Are you totally new to this but want to learn about Transcription? 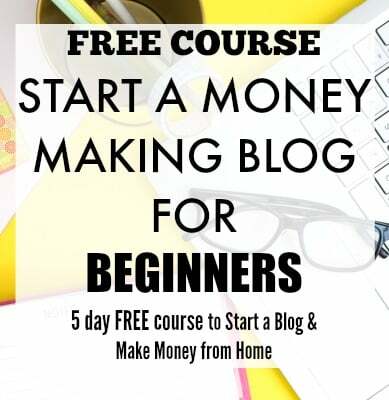 Take this FREE COURSE and learn more about this flexible work from home job. This transcription company hires beginner and experienced transcribers for online legal, general and medical transcription jobs. The pay is around $0.70 to $1.25 per audio minute. After applying online through their website, there is an audio test which you need to pass to get recruited. They also hire for Spanish translation roles. This company has both transcriptionist jobs and occasional data entry roles. They hire for general and medical transcription projects. The requirements are a minimum typing speed of 60 wpm, good English skills and knowledge of the medical field is preferred. The pay is around $0.005 per word. The hours are flexible, and you need to take a transcription test after applying online. If you want hundreds of legit online Transcription jobs, then head over to Flexjobs. It is a scam-free job board with hand picked jobs listed everyday. You can’t go wrong with Flexjobs! Quicktate will let you transcribe audio files, voicemail messages, legal files, medical files, conference calls, etc. The work is flexible, and you can log in whenever you want. The requirements are good spelling and punctuation knowledge, background experience in transcription. You also need to take a series of tests before getting hired for this company. As a Rev transcriptionist, you will be working mostly on general transcription. The company hires both beginners and individuals with experience from anywhere in the world. The requirements are good command over English and ability to follow guidelines. You need to follow the Style Guide and take an online assessment test. Once you successfully pass the test, you get recruited. The minimum pay is around $245 per month as per their website. With this company, you can transcribe files even as a beginner. They hire only from the US, and there are around three tests that you need to pass to get hired. The hours are quite flexible, but the work might be very continuous. The pay is approximately $0.005 per word. This transcription company pays around $20 per audio hour, and the work is mostly medical, legal or general transcription. You will have to take a transcription assessment to test your accuracy and audio skills. There is a style guide and training before you start working. They hire beginners as well. This company hires for positions related to general, legal, medical transcription jobs. You need to have a minimum of 60 wpm typing speed to apply. They employ from many countries like Australia, UK, Canada, Philippines, New Zealand, India and South Africa. They hire only experienced transcriptionists, and you can apply online through their website. If you are someone who is just getting into Transcription, then try this company. They hire beginners, and the application process is pretty simple. You need to fill up your details online and take a couple of assessment tests to show your accuracy. The pay is around $0.005 per word, and you can do the work in your own time. They hire worldwide and are a perfect choice for entry level transcription jobs. This company has freelance transcription jobs. They hire from many countries, and the pay is around 8 cents to $1 per audio minute. After completing online registration, you will be taking a transcription test through which you will get an understanding of the Style Guide. The work is flexible and can be done in your own time. This company handles transcription work mainly in the entertainment industry. You will be transcribing media files. They only hire in the US. You need to register online through their website and download a sample test to test for accuracy, grammar, and English skills. The basic requirements are having a high-speed internet, good computer, headphones and a foot pedal. With Scribie, you can transcribe anything from podcasts, interviews or video. You can apply through their website and once invited you can take the transcription test. The work is flexible and is on first come first serve basis, and the pay is around $10 per audio hour. Read out Scribie review here. This transcription company hires transcribers for various legal, post-production and academic transcription projects. You will be working as a freelance transcriber, and they hire beginners as well. The work is on call or as needed basis. They recruit from the US and Canada. Once you fill up the form online, you will be taking a transcription test. If you love the entertainment industry and are looking for transcription jobs, then this company is a perfect fit for you. Bam! Transcription offers projects that are related to entertainment industry majorly. They also offer general transcription and translation roles. You can transcribe different audio files like meeting notes, interviews, etc. You might also be transcribing video files. The pay is around $0.40 to $1.25 per audio minute, and you need a telephone line, headphones and a computer to get started. Verbal Ink offers transcription, translation and subtitling services. They have a separate page here which describes what they are looking for in transcriptionists. You can send them your resume with a cover letter and apply for the role. If you are looking for a transcription company that hires worldwide, then GoTranscript is the right choice. They hire freelance transcriptionists without much experience. The pay is around $0.60 per audio or video minute. You can apply online and take the transcription test to get hired. Another transcription company that hires globally. You will be working as an Independent Contractor. The work is pretty flexible, and you will be paid $0.40 per audio minute. There is a 10-minute transcription test which you need to take before you are recruited. You will be transcribing TV logging, focus groups, etc. You can work on general and legal transcription projects with this company. They only hire in the US and Canada. The basic requirements are a minimum typing speed of 60 wpm and good knowledge of English grammar, spelling, punctuation. They hire only experienced transcribers in both the fields. The pay is $0.005 per word. This company occasionally hires independent contractors for general transcribing jobs. They only recruit from the US. They do a background check before recruiting. A good internet connection with a laptop is one of the basic requirements. They only hire native English speakers. You can send your resume through email to [email protected]. Allegis hires freelance transcribers for Insurance industry projects. They only hire from the US and accept both entry level and experienced transcriptionists. You need to have a minimum of 75 wpm typing speed with excellent spelling and grammar skills. You go through a training program once you are selected. If you are interested, you can apply online through their website. This company has online transcription jobs for law enforcement projects. You must have previous experience of transcription in law enforcement industry. The minimum typing speed required is 70 wpm. You will be under assessment before you are ready for client work. There is also a background check needed after you are selected. They occasionally hire general and legal transcribers with prior experience. You need to have good English, grammar, and punctuation skills. You are expected to have your own transcription software and hardware. They usually pay per page. You can fill up their online form to apply. This company hires experienced transcribers from all over the world for legal, general, medical transcription work. The application process is said to be quite strict, and the pay is $0.40 per audio for beginner transcription jobs. You can apply online through their website. With this company, you will be doing legal, general, entertainment and corporate transcription. They hire occasionally and require a minimum typing speed of 65 wpm. You need to be tech savvy and must have a good computer with internet connection. You can either fill up their online form or send your resume to [email protected]. With Same Day Transcription, you can do interview and market research transcription. They only hire experienced transcribers from the US. Your typing skills need to be good to work for this company. You can apply for the transcriber jobs online on their website. From time to time, Aberdeen hires work-at-home transcribers for transcribing video clips. You must have excellent English grammar, punctuation and spelling skills. You need to have the required equipment like headphones, foot pedal and a good computer with internet connection. The pay is around $1 per audio minute. You can email your resume after which there is a transcriber test if your resume is accepted. This company has positions open for medical transcription jobs. They only hire experienced and certified transcribers in the healthcare field. You need to have a good internet connection with a laptop. The pay is by the line transcribed. You can apply online through their website and go through their testing process. There are many more transcription companies other than above that hire work from home transcribers, so I will keep updating the post as I find more. All of the above companies might not be hiring right now, so please check their websites for open positions. If you are new to this role, then I suggest you take this FREE COURSE which can give you an excellent idea of what exactly Transcription entails. It could be a great starting point for you to discover this fantastic and very lucrative work-at-home career. You can find more work from home jobs on our job board. I really needed this list! You are awesome! 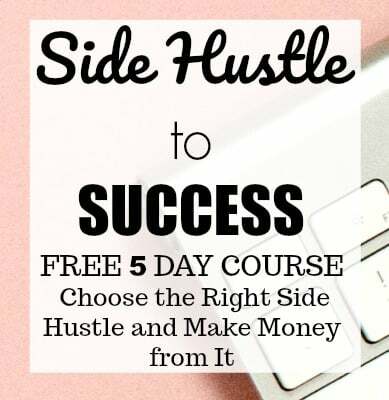 I’m a full time stay at home mom and i’m looking for more money making opportunities online and you just gave me a gold mine of opportunities. Thank you so much.